Our guest speaker, Laura Wolfe, from the North Central Texas Area Agency on Aging, will give a presentation about increasing or just maintaining stamina as you age as well as some fall prevention exercises for our group. Laura coordinates all of the Taking Control of Your Health programs in a 14 county region. She holds her PhD in Applied Gerontology specializing in health education, quality of life, and hospital readmission and is a master trainer for the Stanford Chronic Disease Self-Management, Diabetes Self-Management, Chronic Pain Self-Management, the MaineHealth A Matter of Balance Fall Prevention, and WellMed Stress Buster for Family Caregivers programs. Laura is also a Certified Long Term Care Ombudsman advocating for residents in skilled nursing facilities and assisted living facilities and holds a certification in Mediation in Aging. Please invite your friends, bring a dish to share and join us for this special time of fellowship together! Our Fifty Plus Group will be gathering on October 7th @ 11:30 am. Bring a friend, a FAVORITE dish to share and join us for this special time of fellowship together. Guest Speaker: Rina Watson blessing us with readings of “Poetry of Light”! Praise the LORD! 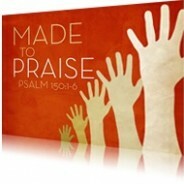 Praise God in his sanctuary; praise him in his mighty heavens. 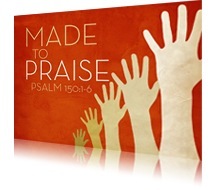 Praise him for his acts of power; praise him for his surpassing greatness. Praise him with sounding the trumpet, praise him with the harp and lyre, praise him with the timbrel and dancing, praise him with the strings and pipe, praise him with the clash of cymbals, praise him with resounding cymbals. Let everything that has breath praise the LORD! Sunday, August 16th @ 5 p.m. Please join us for an evening of High Energy Contemporary Praise and Worship! *Donations will benefit the Asbury Relief Ministry Food Pantry. 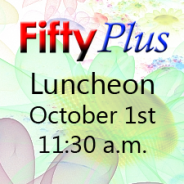 Fifty Plus Luncheon in October @ Asbury! Posted by AUMC on September 29, 2014 in AUMC News, Fifty Plus | Comments Off on Fifty Plus Luncheon in October @ Asbury! Hey 50+er’s in on October 1st join us for fellowship at the luncheon. Bring our favorite dish to share!